The author’s note sets it late in the second season, after ”Won’t get Fooled Again” and before ”The Locket”. A trading ship contacts Moya. One of the passengers want to go to Liantac, a gambling planet which is nearby (when using starburst). However, the planet is surrounded by a field which prevents inorganic ship from going to the planet. But organic ships can go and so the passenger has been looking for an organic ship for a while. He’s also willing to pay and so the crew agrees to go to Liantac. When they arrive, John remains on board Moya, trying in vain to remember words to ”Viva Las Vegas” and driving D’Argo nuts, while Rygel, Chiana, Zhaan, and Aeryn go down to the planet. Aeryn is looking for parts to her Prowler and John’s module and Zhaan is looking for more herbs while Rygel and Chiana are looking for fun. Rygel is lured into a high-stakes gambling where he bets Moya – and loses. Now, the crew has to either surrender Moya or agree to do some tasks to pay off Rygel’s debt. I liked this book a lot because the whole premise is fun and every character has some great scenes. Chiana and Rygel are very exited about the planet, the rest of the crew not so much. In fact, John thinks that it might make him homesick so he remains on Moya. But later he gets to work on actual science and he’s very exited about that. Rygel is really in his element here and the only reason he loses Moya is because he was cheated. But he can’t prove it. Chiana is also like a fish in water and she has a feeling that their passenger has been lying to them, and investigates. Aeryn has to pretend to be a Peacekeeper which brings back lots of bad old memories. And D’Argo gets to be a grumpy bodyguard, making snide comments to a self-absorbed singer. Eventually, they work well together to get out of the jam. This is a fun little book and it could have been a light episode. ”For once, the Luxan and I are in a total agreement,” Rygel said. ”That’s the scariest thing I’ve heard all day,” Chiana muttered. After the events in the previous collection, Aeryn and John have a few clues where to look for answers concerning their son’s condition. Specifically, little Deke has an extra gland which presumably causes the weird time shifts John and Aeryn have been experiencing. Also, a mysterious assassin is after the baby. The gland was assumed to have come from John because he’s a different race than Aeryn but in the alternate timeline Aeryn’s fully Sebacean child also has the gland. So, it came from Aeryn. She assumes that it’s the result of a genetic weapon but she can’t remember where her regiment could have come into contact with it. So, she’s tracking down her former Peacekeeper comrades. A couple of them have ”retired” to a farming colony and Aeryn heads there. Once there, she finds out something weird: a religion based on teaching of Yemahl. And a man from her past reappears. Meanwhile, John’s looking for the assassin. When he was in the alternate timeline, John got to know the assassin – or at least the person that assassin is in that other universe – and he’s now using the information he got. John knows the assassin’s name (Roiin), his ship’s name, comm frequency, and even his favorite vacation spot. He’s listening comm frequencies in the hope that something will come up. However, when that doesn’t work John and Chiana head for Liantac, a gambling planet where Roiin likes to spend time. When they finally find him, Chiana leaves with him, going undercover to find out who has hired him. Meanwhile, Jothee and Sikozu are engaged in a battle of minds – by playing a strategy game. Mostly, they’re trying to force the other to make a move. This was short but hilarious. The collection starts with Aeryn’s narration which was very interesting. She goes to a peaceful colony where the Sebacean settlers follow the god Yemahl, who doesn’t condone any kind of conflict. Not surprisingly, Aeryn thinks that that’s idiotic and observes how some of the settlers still have old-fashioned conflict, even though in a more underhanded way. Chiana is put into a difficult position because she starts to develop feelings for the assassin. What began as a simple undercover job to help John, becomes much more complicated. 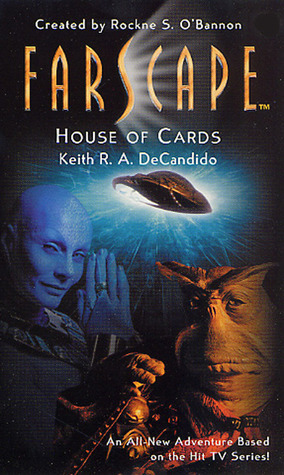 I don’t think we’ve seen Liantac on screen, or even the bird-like Lian people, but they’re in the first Farscape novel, House of Cards, which I’m currently reading, which was a strange coincidence. Liantac had a bit too familiar feel and the dancing girls looked like human women with red or blue skin, which was cheesy. Otherwise, I enjoyed the collection, although not as much as the previous one. This time we’re shown a Sebacean religion which was a first. Aeryn immediately dismisses it as ”superstitious nonsense” and the sect’s people are behaving in a far different way than Peacekeepers. We also get to know more about Crais’ past and even Aeryn’s origins. I’m interested to know where the writers will take Aeryn. I just can’t imagine her as smiling and peaceful – without Nebari mindcleansing. The eighth book in the pulp series. For the first time since the third book in the series, Warlord of Mars, John Carter is the main character. This time, he’s trying to stop the infamous Assassins’ Guild once and for all. His own agents haven’t been able to do much against the Zodangan Guild and so John himself goes there in order to destroy the assassins. He’s undercover as a masterless fighter called Vandor. However, once there, he becomes involved in a war between two mad scientists and eventually he has to undertake a journey to one of Mars’ moons. The story is fast-paced and has a lot of coincidences at first. Almost immediately after John arrives to Zodanga he meets an assassin working for one of Assassins’ Guild’s biggest enemies, the mad scientist Fal Sivas. In addition to having made an enemy of the Guild, Fal Sivas also has a nemesis: Gal Nar who is also an inventor. They’ve both just constructed spacecrafts, for the first time on Barsoom. Fal Sivas is certain that Gal Nar has stolen or copied his invention. However, Fal Sivas is also fascinated with the human brain and researches it in gruesome ways with live humans (mostly kidnapped women or slaves). He’s also invented a metal brain which controls his spacecraft and only he can, in turn, control the metal brain. He needs only to think and the metal brain controls the craft. I rather enjoyed having John back as the POV character but this wasn’t one of the best in the series. 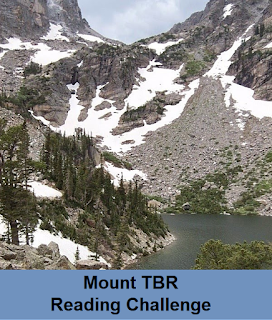 The book isn’t as imaginative as some of the others in the series but still a fast-paced adventure. However, it does have more fantastic elements than in the previous books, leaning more towards the fantasy side of science fantasy. Even John himself calls ”preposterous” the theory which explains why he and his comrades can have adventures in the small moon. The book also ends rather abruptly, like Burroughs ran out of word count. Also, the societies we encounter this time are rather standard ones. Also, two (more) women fall in love with John this time. The book has two clearly different parts: first part’s set in Zodanga where John has to spy and maintain his cover identity as Vandor and the second part where his party has an urgent mission to complete. The intrigue part is quite different in tone from usual Barsoom adventures and possibly not what the reader is looking for. 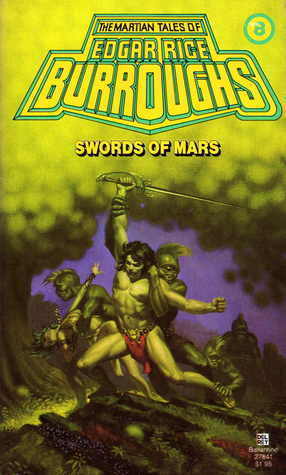 The second part is a more usual Barsoom adventure. Being a starship captain is often seen as a glamorous job but that depends on the size of the crew and the situation the ship is in. A Starfleet captain during a peace time can be far less demanding than if you’re in the middle of a genocidal war and captaining the last surviving large battleship. In a small ship, the captain often has to do other jobs, as well. However, all of my favorite captains are fiercely loyal to their crews. Every time captains are talked about the first person who comes to my mind is Picard. He’s a diplomat but also a soldier when needed. He’s also a captain that can be trusted; he will always do the right thing, even when it comes with a cost. He even goes against orders when he thinks that those orders are wrong. He also has a lot of other interests: Shakespeare, archeology, horse-back riding, and playing a detective on the holodeck. Adama is similar to Picard in that he tries to always do the right thing. But he’s in a very different kind of place; he has to put the survival of the whole species above the survival or comfort of few. He also doesn’t really have time to do much else. In essence, he’s the real leader of the Colonial Fleet; if he hadn’t accept Roslin as president, he could have taken the job himself. He also has a interesting relationship with his second-in-command Colonel Tigh; there are pretty fundamental issues they disagree with but they still trust each other without reservation. Pyanfar is in a very different place than either of the previous captains. Her ship is Pride of Chanur which has quite a small crew and they are all her relatives because that’s how her race does things. They belong to a species called the hani which are lion like: the males stay at home and rule while the females go out and trade. Pyanfar is fiercely loyal to her crew and tries her best to keep them out of trouble in a wide galaxy filled with alien species. Maybe I’m cheating because most of the time Moya doesn’t have an actual captain but instead the small crew decides things together. But D’Argo was voted captain even though it didn’t happen until the fourth season. At first glance, he’s a fierce warrior but pretty quickly we get to know his tragic background and about his quest to find his son who has been sold into slavery. He also dreams about far simpler life than on board Moya with other escaped convicts. Firefly’s a small ship with a tightly-knit crew and passengers. Mal doesn’t trust easily but when he adds someone to his small crew, he’ll always defend them. He was on the losing side of a war and is quite bitter about it, not trusting the current government at all. Cordelia is a scientist and when we first meet her, she’s the captain of a science vessel Rene Magritte. She comes from Beta Colony which is the cradle of democracy but is situated below ground on a world where atmosphere isn’t breathable, so certain civil liberties have been curtailed. She’s highly analytical and uses her skills a lot outside science, too. When she emigrates to technologically backward planet, she enthusiastically encourages the inhabitants to embrace higher level tech. Admittedly, she’s in a far different role for most of the series. Han is probably the first starship captain I ever encountered and I still have a soft spot for charming scoundrels. When Han is introduced he says that all he cares about is money but his actions quickly disprove his words. And given that he has a loyal wookie at his side, he’s probably always had a more honorable streak. Janeway’s in quite a different situation than Picard and she still manages to keep her crew together and focused on finding home. She even has to face down the Borg with just one ship and integrated the Maquis terrorists into her crew. We even got a glimpse of what could happen to a crew without a captain like Janeway in ”Equinox”. Boss is the first person narrator in the series and so far we haven’t learned her name. She doesn’t use it because she feels that she’s a very different person now. Originally she was the only crew member in her ship ”Nobody’s business” but sometimes she took on additional crew. In the first book, she dives the spacecraft’s wrecks which is so dangerous that she needs more people and picks very carefully only the best. She values her independence and freedom above anything else. Who are your favorite captains? 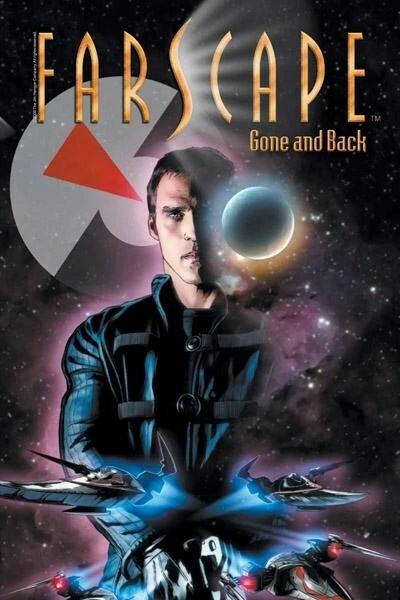 Collects Farscape: Gone and Back issues 1-4. 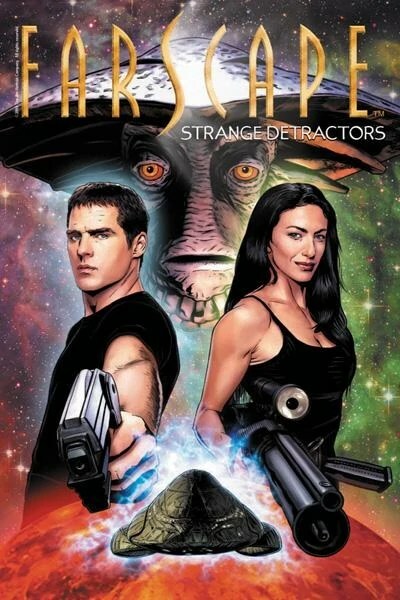 After the last collection, I was a bit worried about this one, but I shouldn’t have because Farscape weirdness is back, in full force! I’m also a huge fan of alternate universes (in the X-Men and Star Trek style) and this one was great. The crew has returned to Hyneria and Rygel’s doctor is checking out little baby Deke. The doctor attaches a bug to Deke but then the palace is attacked and John accidentally comes into contact with Deke’s strange extra gland and is sucked into some anomaly. He ends up in a world where both Zhaan and D’Argo are alive! In short order, he realizes that many other things are different in this universe. Chiana and D’Argo are married and Chiana’s greatest passion seems to be food. In fact, Chiana’s whole personality is quite different. Also, a strange alien guy Coron is part of the crew and… John is married to princess Katralla and they have a daughter. Aeryn has never been part of the crew – in fact they’ve never even met her. This book is full of good Farscape weirdness and it was so good to see Zhaan that it might not matter if the story was good or not. But this alternate Moya crew seemed in their own way as tightly knit as the group we all know and love. Katrana, John’s and Katralla’s daughter, is older than two so she must have gone through some weird aging process or John ends up some years in the future as well as in the alternate timeline. They seem to be happy, although the girl’s now heartbroken and frightened by John’s apparent amnesia. In fact, all of the group seem to be happy with their lives, with the exception of Aeryn. So often in alternate universes the lives of the main characters and, indeed the whole world or setting, are worse that it was great to see a different take. Aeryn is still a Peacekeeper and the ”Look at the Princess” trilogy ended with Katralla joining Moya’s crew. The book also advances the bigger plot by answering some questions about Deke and the mysterious black clad man who has tried to kill Deke a couple of times now. About the only thing I didn’t like was the ridiculous ”bond” that this universe’s Aeryn supposedly has with John – even though they’ve never met. 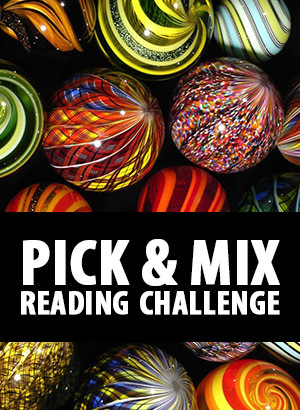 The stories in this collection range from a slow, contemplating story to adventure. I liked all of them but maybe I’m just easy to please. 🙂 Then again, I’ve enjoyed almost every Fiction River story I’ve listened, so maybe I just click with the editors. I’ve never read a time travel story similar to ”Love in the time of Dust and Venom” by Sharon Joss. The main character is Keiko whose 97-year-old grandfather decides to travel in time to the future. A company has developed a time travel device and they want to test it with one person and choose the grandfather. He could die during it but wants to try it, anyway. This is a quiet, contemplative story and a good way to start the collection. ”This Time, I Return for Good” by Michael Robert Thomas is written in a series of letters, not in a chronological order. “The Elevator in the Cornfield” by Scott William Carter starts when a father and son find an elevator on their cornfield. This starts a strange adventure. In “Radio Free Future” by J. Steven York one man can hear transmissions from the future. Unfortunately, they don’t have all the information. Sometimes he wants to prevent the future from which the transmissions are coming. “Unstuck” by D.K. Holmberg: Jason has a terrible row with his wife and after he’s hit by weird lightning, he slowly realizes that he’s not in the same place anymore. In “Your Permanent Record” by Ray Vukcevich the MC tries to get rich with time travel but it’s not easy. In “Waiting for the Coin to Drop” by Dean Wesley Smith time travel has been invented and an author is using it in order to travel back in time, research it and then write a book about what he has learned. Somewhat familiar, right? Except that in this world, time traveling is done a bit differently. “Nice Timestream Youse Got Here” by Lee Allred: about, yep, people out to get money with time travel. And not in a ”nice” way. Unfortunately, I really didn’t care for the narrator. “The Highlight of a Life” by Jeffrey A. Ballard: scientists in a US university have found a way to cross over to other timelines and one of the scientists decides to correct something he regrets. “A Beautiful Friendship” by Mike Resnick & Lou J. Berger: Calley is so average that people forget him even when he’s talking to them but he has a unique ability: to travel in time. He goes to a psychologist and the meeting changes both their lives. “Fix” by Michael A. Stackpole: A war between two timetraveling families reaches its conclusion in a very personal way. “The Totem of Curtained Minds” by Ken Hinckley starts from a prison where one prisoner refuses to be fenced in. “September at Wall and Broad” by Kristine Kathryn Rusch: Rusch is one of my favorite writers so it’s no coincidence that I really liked this one and I’m hoping she’ll write more in this universe. Although, I actually find the idea of having a time traveling agency accountable to the US senate frightening. A timetraveler has been sent to 1920 to explore bombing but something goes wrong. The Time Agency in 2057 has lost contact with her and sends another agent to look for her. However, they find out more than they wanted. In “Time, Expressed As An Entree” by Robert T. Jeschonek time devouring Rainbow Leviathan eats up everything until just one day is left. Then he encounters an anomaly. The comic starts with one of John’s strange dreams where he’s placed his family into a sit-com but even here the weirdness of his reality seeps through. He’s trying so hard to make them into a normal family but it just isn’t working. After their latest adventure, Moya’s crew go to a commerce planet where things turn out to be rather weird. A supposedly happy Luxan couple start to argue over their union tattoos and a customer argues with a merchant. Quickly, they are using their fists and even weapons. The arguing spreads to our heroes, too. First Chiana ja Jothee argue, which isn’t unusual for them, but when they start to pull weapons on each other, it’s clear that something is very wrong. Even Pilot is arguing with Moya. And everyone is coughing. John and Aeryn want their son examined and it seems like an increasingly good idea to go to the Diagnosans. It turns out that the hostilities are the fault of a virus, a very strange virus. And it has spread to Hyneria and beyond. Unfortunately, I didn’t like this volume as much as the previous one. The story started in a very interesting way but about halfway through I started to wonder how the spread of the virus could be stopped. It seemed to me that stopping a galaxy wide disease wouldn’t be something that Moya’s little crew could do all by themselves or quickly. It felt like a whole season spanning metaplot. However, it was all wrapped up in the final issue and this felt too neat to me. Also I really disliked John’s plan on how he was going to cure Aeryn. 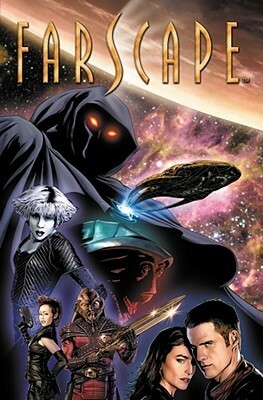 Even for Farscape, that was a bit too ridiculous. The overarching plot about little Deke advanced only a little.